A standalone expansion to Mount & Blade, a popular game by TaleWorlds Studios, which gained acclaim for being a unique combination of strategy game and action-RPG. The developers responded to community feedback implementing an array of innovations and improvements to enrich the gameplay. First of all, artificial intelligence of commanders and vassals was significantly improved and the diplomacy options were expanded, giving you more control over your lands. Another thing that went through much improvement were the game’s visuals. However, the biggest novelty is the multiplayer gameplay for up to 64 people playing together in one of 7 different game modes. 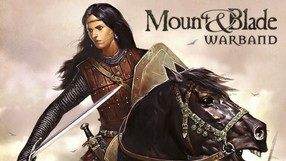 Warband features all locations present in the original Mount & Blade, as well as a brand new faction - the Sarranid Sultanate - and lots of new missions. Inspired by a popular game Papers, Please, this is an unusual mix of genres by the Polish studio Polyslash. We. The Revolution is set in the 18th-century Paris during the French Revolution. The player takes the role of a judge in the Revolutionary Tribunal, who judges both revolutionists and their enemies, as well as criminals and ordinary citizens. After accepting a particular case, you have to look through files and evidence, interview the people involved, and finally state the verdict – either just or one serving your interests. During the game you get to make lots of decisions that affect not only the course of the protagonist’s career or the fate of his family and friends, but also the balance of political power in the capital of France. As the game progresses, the character that you control also gains more and more influence, which allows him, for example, to participate in various conspiracies, or even start a struggle for power. An official sequel to the 2013’s sandbox action game by Undead Labs. 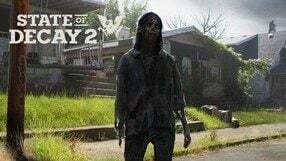 The action of State of Decay 2 takes place in a post-apocalyptic open world after an outbreak of a zombie epidemic. While playing, we get a chance to led a group of survivors, each of whom has their own biography, skills, and character traits. We can freely switch between them while building a shelter, exploring the world, and searching nearby buildings for resources necessary for survival. Fighting zombies, we use various kinds of improvised weapons. The title features a character development system in which we can perfect our heroes by engaging in certain activities. Apart from the story campaign, the production offers an indefinite survival mode and a full-fledged multiplayer that allows up to four players to cooperate, each managing their own group. King Arthur's Gold is a fun-focused, dynamic action game created under the responsibility of Micha³ Marcinkowski and TransHuman Design's development team led by him. Players build their own fortress and fortifications, and then try to defend themselves against enemy attacks and at the same time conquer their stronghold. The production is maintained in the 16-bit style. 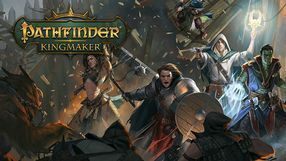 Pathfinder: Kingmaker is a classic RPG developed by Owlcat Games in cooperation with the one and only Chris Avellone. The game is based on the popular Pathfinder RPG system and takes the players to a typical fantasy land where they will have to build their own kingdom and defend it. We observe the game from an isometric point of view and, as we play, control a party made of characters with different abilities. During our adventures we will explore a vast realm where we will complete primary and side quests, and fight with the encountered enemies. In combat, we can use magic and typical fantasy weapons. Managing our kingdom plays a crucial role in the game. We will have to build settlements, towns, and strongholds, and make various decisions that reflect our hero's nature. A science fiction space sandbox that features traits of an RPG, a strategy game, and an action game. 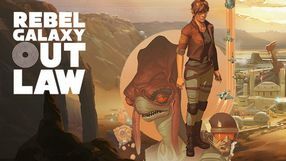 Rebel Galaxy Outlaw is a sequel to Rebel Galaxy, a game from 2015. It was developed by an independent studio Double Damage Games. 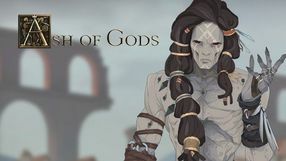 A unique combination of RPG mechanics with a strategy game, created as the debut project of an independent developer, TaleWorlds. The player assumes the role of an adventurer who arrives to Calradia, a realm divided into several rivaling kingdoms. What he does next depends completely on him. Mount & Blade does not offer a story campaign, rather giving the player the freedom of shaping his adventures. Initially, the hero has only the eponymous mount and blade, but in time he comes into possession of full combat equipment and an actual army, and even being given the option of becoming a vassal to one of Calradia’s rulers. Mount & Blade lets the player to move freely around the world’s map — in this view you get to travel to towns and villages, encounter enemy armies, and find mission targets. On the other hand, in towns and during battles you control your character like in a purebred RPG with TPP view. During battles the player not only fights along his soldiers, but also gets to command them. 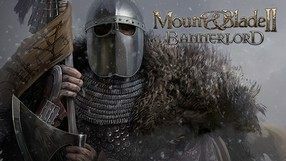 Among other Mount & Blade’s highlights we should mention expansive economy, character progression, variety of missions, and tournaments. An unusual simulator, in which your objective is to bring to life a perfectly functioning species of organisms, starting from the lowest step on the evolution ladder. The game is developed by the legendary studio Maxis, led by Will Wright – the man responsible for such cult series as SimCity and The Sims. Mechanics combine elements of many game genres and each stage of your organism’s evolution offers a bit different quests and altered gameplay. 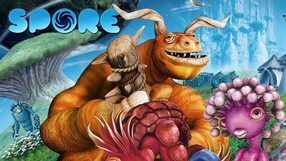 Starting with the cell cycle and ending with a whole community, the game offers enormous scope of modification in regard to the appearance and other traits of your species. In later stages of evolution, the primitive organism gets a mouth, limbs, and other attributes that influence its ability to adapt and cope in various external conditions. With the game's progress, elements of competition with other species emerge and our, initially small, village becomes a huge metropolis with the newest technology. 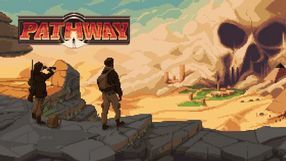 A 2D science-fiction simulation game by Canadian studio Klei Entertainment, in which your task is to develop a colony on an unspecified planet. 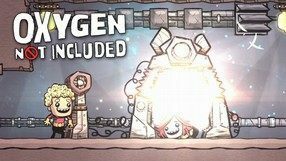 In Oxygen Not Included you're responsible for all the ways in which the base functions, from expanding it to managing every individual colonist and assigning their duties. A colonist can e.g. mine for resources, build constructions, conduct research, manage transport, and even cook; each of the activities can be prioritized to make our base function more efficiently. Moreover, you have to care for the basic needs of the colonists and ensure they have access to water, food, heating, and the eponymous oxygen, which distributed across the base by a complex network of pipes. The game features the studio's distinct cartoonish visual style. 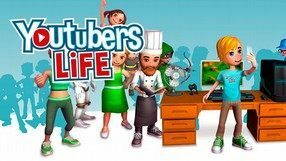 An adventure game that takes players to a totalitarian country and allows them to become a ministry official, who gradually climbs the career ladder by eliminating potential opponents, to eventually become the prime minister. A mix of various genres. The game combines features of strategy and role-playing games. It takes place in a post-apocalyptic world mixed with oriental themes. The player can control a single character or up to fifty characters simultaneously. The game doesn’t limit the player in any way. He or she can complete quests, conduct trading or even build cities. Ni no Kuni II: Revenant Kingdom is the next installment in the jRPG series developed by Level 5. Young king Evan Pettiwhisker Tildrum is the game's protagonist. 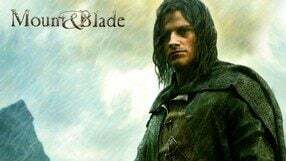 After our hero was banished from his own kingdom, a fellow named Roland decides to help him get his throne back. Things got much more complicated when the city of Ding Dong Dell was faced with the danger that threatens the entire world. Our heroes have no other choice than to face it. 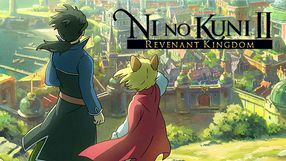 Just like in the previous game, gameplay in Ni no Kuni II: Revenant Kingdom focuses on the exploration of the game's vast world, doing many various main and side quests, recruiting new team mates, and fighting with the encountered enemies. In combat, we can switch between our party members to use their individual abilities anytime we want to. Once again Higgledies play an important role in battles. They can draw our enemies' attention and aid us in battle by giving us powers to control various elements. A new system that allows us to create our own kingdom was introduced in Ni no Kuni II. The game features colorful visuals, visibly inspired by the Ghibli animated movies. A multiplayer war game set in the World War II period and a debut production of Danish studio Reto-Moto. 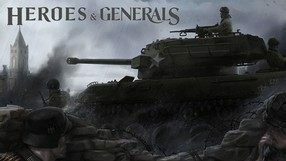 Heroes & Generals stands out from the competition with its three game modes, each being able to exist as a separate game. The first one is a classic FPS that emphasizes teamwork and realism on the battlefield. The second one is a browser MMO strategy, where the players command their troops, recruit new units, and launch military operations. The third one, intended for casual player focuses on social networking, featuring support role minigames available as a smartphone app or via social networks. Heroes & Generals is free to play, although some extras require payment. A sandbox space simulator developed by Egosoft. It is the fourth full-fledged installment of the popular series X. 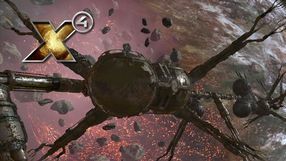 Similarly to its predecessors, X4: Foundations focuses mostly on giving the players a freedom in how they want to play. At the beginning the player takes control of a cheap space ship with weak specifications. He is being thrown into the middle of an open galaxy. Depending on their choices, they can become a space merchant, a pirate, a soldier, a bounty hunter, an assassin, an explorer or a miner. The gameplay mechanics are more faithful to the first games in the series than to the newest installments. Many simplifications were removed in favor of mechanics known from X3: Terran Conflict, now improved and upgraded with some novelties. The player can pilot many types of ships that can be freely upgraded and modified. The dynamical game world is constantly shaped by player’s actions. A tactical RPG, which is the debut project of Aurum Dust. The game revolves around the adventures of characters traversing the world of Terminum - their goal is to find a way to defeat the so-called "reapers". The player talks to NPCs, fights in a turn-based combat system, and constantly makes difficult choices. 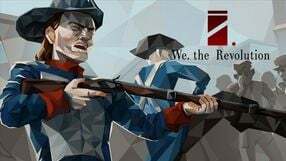 An adventure and simulation game hybrid in which we play the role of a citizen of a totalitarian state; one day a man decides to take matters into his own hands and break the status quo. 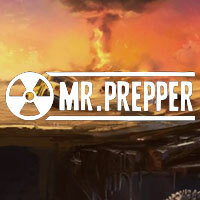 In Mr. Prepper we deal with the expansion of the hero's underground hiding place, construction of various tools and machines, as well as trade with neighbors while avoiding inspections carried out by representatives of the authorities. Set in a historical setting, a classic, tactical, turn-based RPG developed by Logic Artists studio. 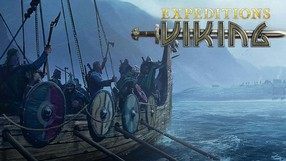 The game is the second consecutive installment in the game series launched in 2013 with Expeditions: Conquistador. The action takes place by the end of the 8th century. With the death of your father, you become the new leader of a small Viking village. Your objective is to strengthen your power, ensure the safety of your people, and make your village the strongest one in the area. However, your mission is threatened by hostile neighbors and conspiring members of your own clan. Apart from village management, you will be plundering and raiding, but to do so, you will have to begin with gathering the necessary resources and assembling a good crew. The combat, observed from the top view, takes place on battlefields covered in hexagon grid. The turn-based combat system allows you to come up with devious tactics. The non-linear plot of the game can be influenced by your choices, both strategic and personal. The result of the independent Polish studio Pixel Crow's cooperation with 11 bit studios, the creators of This War of Mine. Beat cop is a point-and-click time management game. You play as Jack Kelly, a former NYC detective who was framed for murder and demoted. Hated by everyone around, Jack is trying to reconcile his duties with conducting a private investigation in order to discover who framed him. The plot of Beat Cop is non-linear and its many endings depend on your decisions. Interestingly, the game was inspired by American crime TV shows from the 70s and 80s, which is reflected in its atmosphere and humor. The time-management element of the production is most visible when you're patrolling the streets of Brooklyn, while during the investigation segments it becomes a detective/adventure game. 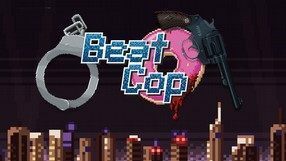 Beat Cop has a distinct retro feel thanks to its pixel-art graphics and oldschool soundtrack. A multiplayer action game enriched with a big portion of RTS elements. 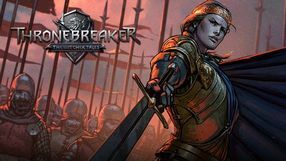 Developed by Booming Games, the title gives an opportunity to assume the leadership of medieval armies in order to fight multiplayer skirmishes based on PvP rules. 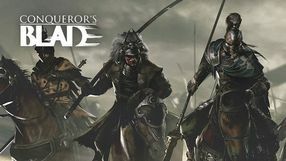 The gameplay formula of Conqueror's Blade brings into mind what constitutes the fundamentals of games belonging to such franchises as Dynasty Warriors or Kingdom Under Fire. A strategy card game set in the universe of a well-known RPG series that has been developed since 1994 by Bethesda Softworks. 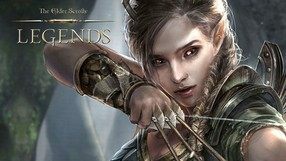 In terms of game mechanics, The Elder Scrolls: Legends takes after the competing Hearthstone: Heroes of Warcraft, and the gameplay comes down to dueling with a self-built deck of cards representing heroes, equipment, spells, skills etc. The game combines storytelling elements and characters known from previous installment of the series, such as the legendary Morrowind, Oblivion, and Skyrim, as well as The Elders Scrolls Online. 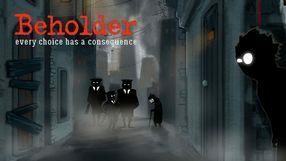 Beholder is an indie adventure game, inspired by the works of George Orwell, Aldous Huxley, and Ray Bradbury. The game takes place in a dystopian world, where the lives of its citizens are fully controlled by the regime, and privacy and freedom of speech are relics of the past. The players take on the role of the manager of an apartment complex. His job is to - under the guise of care - surveil and report any signs of opposition against the government. The game's plot is non-linear - the ending, and the fate of many characters, depend on the player's choices. In Beholder, the players must observe and eavesdrop on the apartment complex's residents, and - when they are gone - search their apartments. When the investigation is complete, a proper report must be submitted, alongside collected evidence. Then, the players can see the consequences of their actions, like a suspect being arrested. 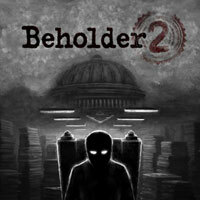 Beholder features gloomy 2D graphics which, together with the music, fit in quite well with the game's grim vibe.